Sustainability is a hot topic in senior living right now, with providers and real estate investment trusts (REITs) alike going green to “save green.” But senior living designers and providers often wrongly overlook how sustainable design can benefit senior living residents, according to a new white paper from architecture firm Perkins Eastman. Often, when senior living providers think about sustainable design, they consider a design’s environmental value—such as its carbon footprint—and a design’s economic value. 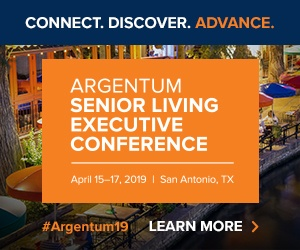 Many senior living providers are failing to consider the social dimension of sustainable design, according to white paper authors Hillary DeGroff, an associate at Perkins Eastman, and McCall Wood, an architect at the firm. Sustainability, in fact, is the integration of environmental, economic and social value, the authors write—but the social value is the most underrepresented, and the most vital to senior living. That’s where the idea of Biophilic Design can play an important role. Biophilic Design tweaks the way architects and clients speak about sustainability, pushing the human experience toward the forefront—the economic and environmental benefits would remain, of course, but more in the background, the authors write. Specifically, Biophilic Design, a subset of sustainable architecture, considers the impact of environmental qualities such as light, air, color, shape, space, materials and vegetation on human physiology and psychology, the authors write. When architects design with these qualities in mind, they bring people to the center of the sustainability discussion. Humans’ reactions to certain environments can measurably improve their performance, health and well-being, DeGroff says. If a patient in a hospital, for instance, has a nice view from his or her room, that person may heal better or faster than someone without that view, she explains. “When you can slowly or gently incorporate nature into design, you’re really able to enhance that person’s well-being,” DeGroff says. Design elements such as natural materials and natural light can be incorporated into a senior living community’s design to enhance residents’ well-being, according to Wood and DeGroff. “For example, untreated and unsealed wood you may find in the form of columns, trusses, furniture, and wall finishes can help lower heart rate and blood pressure, as well as improve immune function,” Wood tells SHN. Other components of Biophilic Design, such as connection to others, movement and unpredictability, exploration and discovery, and connection to nature should be taken into consideration as well, the authors say. At the Saint John’s On the Lake senior living community in Milwaukee, Wisconsin, residents may find a sense of security in a narrow sitting area with windows that look onto scenes of nature, the white paper says. “Seniors desire experiences that will elicit fond memories of being in nature and other spaces that offer emotional security; they may be inherently attracted to spaces that allow for the idea of prospect and refuge,” Wood and DeGroff write. Similarly, for seniors with decreased nerve sensitivity, stimulating neural and physical activity is key in order to improve alertness, awareness, and connection to the present moment, the authors write. At the Westminster Village senior living community in Scottsdale, Arizona, accordion glass doors allow cross-ventilation and warm breezes to reach in sitting areas. The space is psychologically stimulating due to direct views of reflecting pools, potentially resulting in heightened resident arousal levels, alertness and neural activity, the white paper says.